I Will Teach YOU to Network! Robert Ing was born on 10 July (100 years after the birth of Nikola Tesla) in East York Township, Canada. His interest in science began when his grade 4 teacher, A.R. Brownsberger introduced him to astronomy and the theory of flight through an extra-curricular science program. Since that time he pursued personal studies in astronomy and evolved in aviation studies from building radio controlled aircraft from scratch to obtaining his pilot's licence and participating in precision flight team demonstrations. His love for all things scientific had seen him attend the prestigious Cambridge Academy and later pursue studies in, at the time, a new field of science known as Police and Forensic Science. His dedication to the study of science would see him obtain a Bachelor and Master of Science degree in Engineering, and then later a Doctor of Science degree. Robert's second love was magic, another interest nurtured by his babysitter's father, Alex Morrison, a well known Australian parlour and stage magician-illusionist of the 1940's and 1950's who appeared as Professor Lexmore. Encouraged, Robert performed magic classics such as the linking rings and rabbit from an empty hat at the age of 9. It was this experience carried through his later years that would see him as an adult perform mind reading (mentalism) and paranormal feats in front of live audiences in North America and in the United Kingdom. Throughout his life he maintained this balance of scientist by day and performer by night. At an early age he served honourably in the Canadian Armed Forces and is a fourth generation Veteran. "Ing is a technical security privateer who has traveled the world with letters of marque from governments and major corporations." 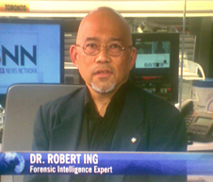 Robert Ing went on to become a recognized authority in the field of technical security and investigation and has given workshops and lectured extensively on forensic intelligence issues under the auspices of the federal governments of the United States and Canada. In 2001 he became an American Police Hall of Fame award recipient, the first Canadian to receive such an honour. He has appeared as a guest and host on major local, national and international news networks such as A&E, BBC, CanWest/Global, CBC, CNN, CP24, CTS, Discovery Channel, NPR, OMNI, PBS and TVO to name a few. Speaking and presenting not only on security issues of the day but also on issues of general science, he has been instrumental in increasing the awareness of the general public with regard to science and technology. He became the first Canadian to serve and represent Canada on the boards of the Electronics Technicians Association International (ETAI) and the International Society of Certified Electronics Technicians (ISCET). The author of several books and numerous articles, his research activities had seen him assist in development projects ranging from micro communication satellites, radio telescopes and the design of diagnostic antennas to terrestrial based solar wireless digital repeater systems. He is a Certified Protection Officer Instructor (IFPO), a Certified Electronics Technician (ETAI/ISCET), Certified in Subconscious Analysis & Reprogramming (SAR/CASP), and Certified in Ennematics (Personality Profiling - CASP). he looks for clues that aren't obvious to untrained eyes." 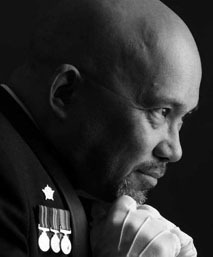 His many publications include Advanced Tactical Signals Intelligence, The Canadian Military Radio Frequency Guide, Military Radio Monitoring, Principles of Radio Communications with Emergency Service Applications, Protomodelling of Interferometric Devices, Improvised Technology in Counter-Intelligence Applications, Introduction to Digital Incident Investigation, The Certified Electronics Technician (CET) Study Guide as contributing author, Espionage Risk Management, Basic Accident Investigation, Forensic Intelligence in the Global War on Terrorism, and The Forensic Case-Book of Dr. Robert Ing. Dr. Ing is available as a media spokesperson, lecturer, speaker and for performances as a Magician of the Mind in Canada and The United Kingdom. Dr Robert Ing comments on the government budget by comparing it to a personal budget. Dr. Robert Ing comments on Hate, Equality and Opportunity in today's society. Dr Robert Ing presents an experiment in influencing your mind over great distances. In this demonstration you will participate in the performance demonstration that is alleged to have baffled Albert Einstein seventy-five years ago, according to the memoirs of illusionist Al Koran. To participate you will need a handful of coins that you can freely rattle in your closed fist. You must try this. 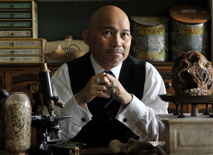 The Paranormalist (Dr Robert Ing) reads a spectators mind and then erases their memory replacing their thoughts with his own. © Copyright © 2013 - 2018 www.drroberting.com . Use, copying or re-publication anywhere for any purpose without prior permission is strictly prohibited and is a violation of both ethics and legality. Perpetrators shall be prosecuted beyond the extent of their imagination utilizing the full benefit of due process. The bottom line is, if you want to use my material, ask first. All rights reserved.